This skin was made after someone suggested I make a male in the style of my previous blocky skin. Although it looks very simple, getting to where I was satisfied with the colors took quite some time. My inspiration was Halucid's awesome Skin of Notch. My last blocky skin definitely brought out many opinions, and I'm very interested to know what you think of this one! Also, be sure to diamond and favorite if you like it! Do you care if I use this as my skin? Sweet skin. Been using it since early 2013. Love it! Looking at this skin it gave me some hints and tips I needed to improve my Blocky skins, thank you! hey can i use this for my personal skin? i recently read a blog by OliverFrenchie called Steriotyping Gamers, and i thought the blog was so impressive that i decided to make a skin on the subject called The SterioTypical Gamer, i needed some ideas and i remembered the skin that you made, so i based my skin on yours. i just posted it and i gave credit to both you and oliver, i was thinking you may want to check it out, ime a fairly good skinner and i would like an opinion from a expert skinner like you. Sure, which skin is it? dude people post a skin ever second..
Oh, hey, it's me in real-life. Hi, I'm wearing this skin its just can you make me a version of him more darker? like a darker tan and a lighter brown hazel really. I quite like the style, and I do play MC kinda similarly, but I wear a pair of black cargo shorts and a "Milk, I am your father" shirt with a cow and carton of milk on it. ...And no socks since it's hawt in here. But still, downloading and diamond'd. This is still my favorite skin by you, it looks like so many people I know. I love the style of shading too, so subtle but amazing. I really like the design of this a lot! Do you think you could make me a "blocky" version of my skin? I'll give credit if someone asks me where I got it, I promise! I'mm send you the link to a dowmload of my skin, so you can edit it if you say yes! Please let me know! Thanks! Any chance you can remake this skin without the underwear? Sorta akward... I tried changing it but I failed. Thanks. Do you think you could make sorta a dark skin for guys? I don't mean dark SKINNED, like black, I mean evil sort of. Soup I'm going to take a try at these kinda skins thanks for helping me. This is my favorite skin ever. This is how I wish I played minecraft (my comp. is in the living room, so I cant go pantsless D:) Thanks for all the cool skins! I need help i sorta did some improvments to the skin and when i was done and used it it didnt have the Mic on how to i put it on??? Make sure you didn't accidentally delete the hat layer? That's exactly what I look like right now, but without a shirt. the_soup, this is a silly question, but am i allowed to change the gamers eyes and hair color, and not put it on planet minecraft? 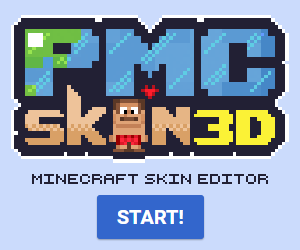 I got to this from that rant that you posted on :p i'm ditching the HD skins mod to use this..
Epic skin!!!! Diamond for you! can you make one skin that is same as this but its blonde? this is amazing! diamond for u! If you do want it I will PM you. FNAF4 Nightmare - Skinned version in desc. collections 34 I make boy skins i swear!